Matt is a NYC-based copywriter, journalist & director with over 10 years experience in entertainment, media, international affairs and more. As a copywriter, Matt has written creative copy for a variety of global brands including Samsung, Calvin Klein, Converse, Tough Mudder, Elle, Quantcast and the Clinton Foundation. As a journalist and adventurer, he has traveled to over 50 countries. Some of his adventures are chronicled below. In 2015, I was called upon to be the press van driver in President Barack Obama's motorcade. In 2013, I was granted the rare North Korean visa. Here, atop Kim Il-Sung Square, I sit where Kim Jong-Un can be seen viewing military parades below. In May 2017, I interviewed General Azad of the Peshmerga - the Kurdish forces clearing Kirkuk of ISIS. In Kurdish, Peshmerga translates to "those who face death." 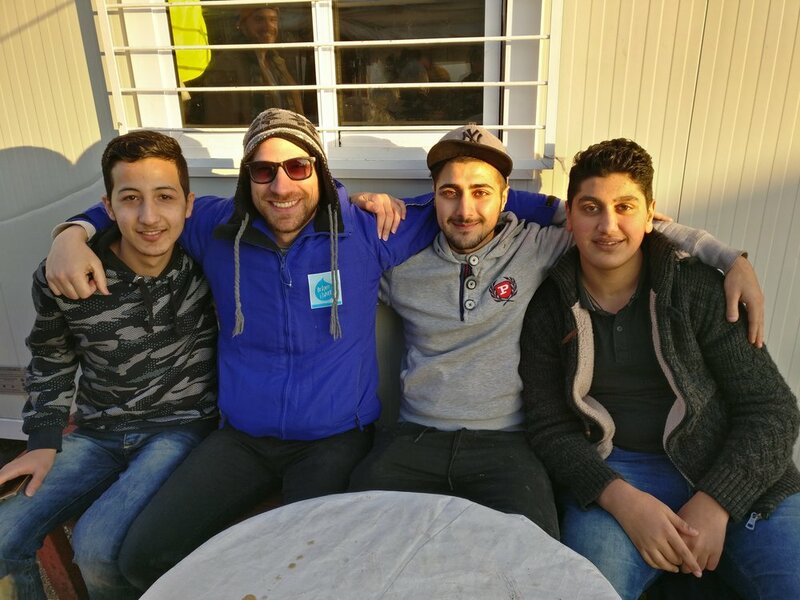 In 2016, I was a camp coordinator at Skaramagas, Greece's biggest refugee camp. Here I'm pictured with some camp residents I mentored. In 2010, some friends from around the world and I helped promote a children's festival of peace with Aldea Yanapay - a local after school program.